Polar bear country. The Norwegian archipelago of Svalbard, farther north than Siberia or Alaska, is the place. This is the realm of the big white beast – there are said to be as many as there are humans (several thousand). Most (humans that is) live in the town of Longyearbyen, but it’s the great outdoors that’s the attraction, whether snowmobiling, hiking on glaciers, an ATV safari, biking or dog-sledding.Both here and in Greenland, across Greenland Sea, taking an inflatable craft amid icebergs is the thrill, seeing a bear staring back at you, or watching walruses snorting as whales breach the waters. This is a place for ice-strengthened ships and at a time when the sun never sets. Another option is a cruise up Norway’s coast around the northern tip to Kirkenes, close to Russia, taking in Honningsvåg, Europe’s northernmost town. Hurtigruten voyages combine cruise ship and mail service to tiny stops. WHERE AND WHEN? Many Svalbard cruises start from Reykjavik in Iceland or Tromso in Norway. June-July. WHO GOES THERE? Silversea, Hapag-Lloyd, Noble Caledonia, Hurtigruten, One Ocean Expeditions. TRY The 10-day Longyearbyen to Tromso expedition cruise from Silversea. Departs July 19, from £9,765pp, including flight from Oslo but not international flights. Where the scenery is so grandiose you don’t need an inflatable craft. Glaciers and mountains rear up in front of you even on a major ship as you sail the Inside Passage. The Passage is an adventure, avoiding open sea from Washington State’s Puget Sound through British Columbia and into the Gulf of Alaska, taking in 1,000 islands and countless bays and mountain vistas. This is a land of cowboy-era Gold Rush wilderness. 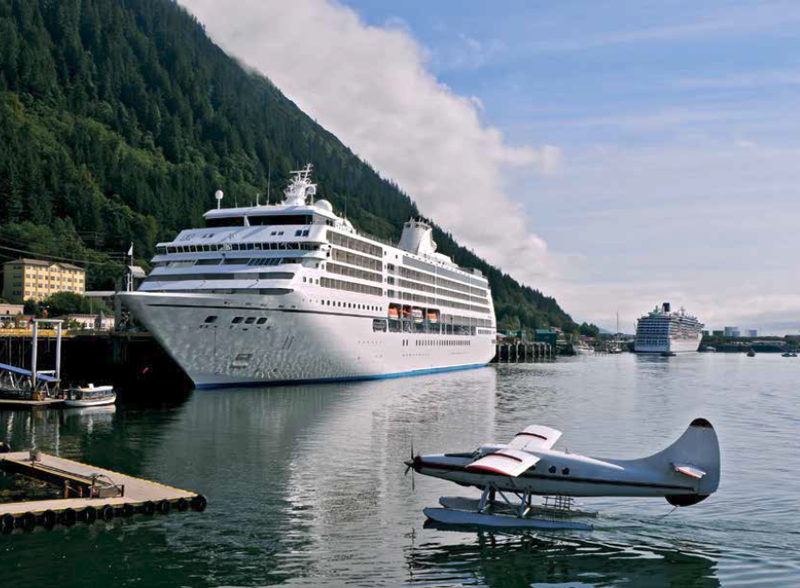 From frontier towns such as Skagway and Ketchikan you explore rainforest, see Native American relics and old salmon fishing ports and simply wander along waterfronts with snowy peaks in every direction. Glimpse bears, whales, moose and eagles while hiking, kayaking, taking boat rides or even a seaplane. WHERE AND WHEN? Summer. Seattle and Vancouver, although Princess Cruises offers itineraries from San Francisco. WHO GOES THERE? Most companies, from big ships (Royal Caribbean) to discreet luxury vessels. TRY The 14-day Ultimate Glacier & Fjord Adventure from Seabourn. From £9,399, with flights, departing Anchorage for Vancouver June 12. Seabourn Sojourn sails Aialik and Holgate glaciers and around rocky, puffin-filled Chiswell Islands. A river as big as an ocean, and easily experienced on smaller cruise ships. The navigable stretch for most, 400 miles (although Hapag-Lloyd’s Hanseatic heads up to Iquitos), is to Manaus, a city with classical influences that was once world rubber capital. Here Museu de Santarém celebrates the ‘wedding of the waters’ where the Amazon and Tapajós join, a rainbow of colours – you can see it first hand. From Manaus small boat trips head into estuaries, as the sun sets, in search of caiman. 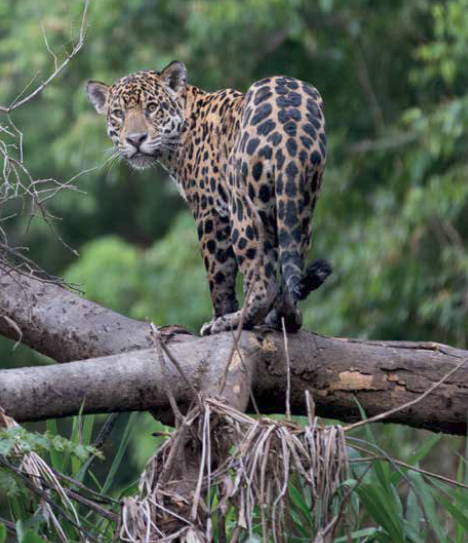 Spot everything from piranhas to jaguars to howler monkeys. Water levels rise by 40ft in rainy season (December). WHERE AND WHEN? From the Caribbean, but Cruise and Maritime Voyages runs an annual 30-plus nighter from the UK. WHO GOES THERE? Hapag-Lloyd, Cruise and Maritime Voyages, Fred Olsen, Noble Caledonia. TRY The 14-night Amazon River Adventure from Fred Olsen, departing Barbados February 1, 2018. From £2,199, including flights. Nature’s petting zoo, a world within a world packed with wildlife found nowhere else. It staggered Charles Darwin (it inspired his Theory of Evolution), and you can’t but be amazed by what’s on the rocky, volcanic archipelago. The giant Galapagos tortoise, along with the blue-footed booby (a seabird) and iguanas that sprint along the beaches. Tiny ships Wildlife in the Amazon potter about the islands of which the main one, Isabela, has five volcanoes. There’s a helter-skelter of island visits by inflatable craft, with walks to see seals, penguins birds and tortoises. It’s not a million miles from the Antarctic so weather is, er, variable. WHERE AND WHEN? Cruises leave from Baltra, an old US base which protected the Panama Canal in World War Two. WHO GOES THERE? Celebrity Cruises, Noble Caledonia, Silversea, Lindblad Expeditions. 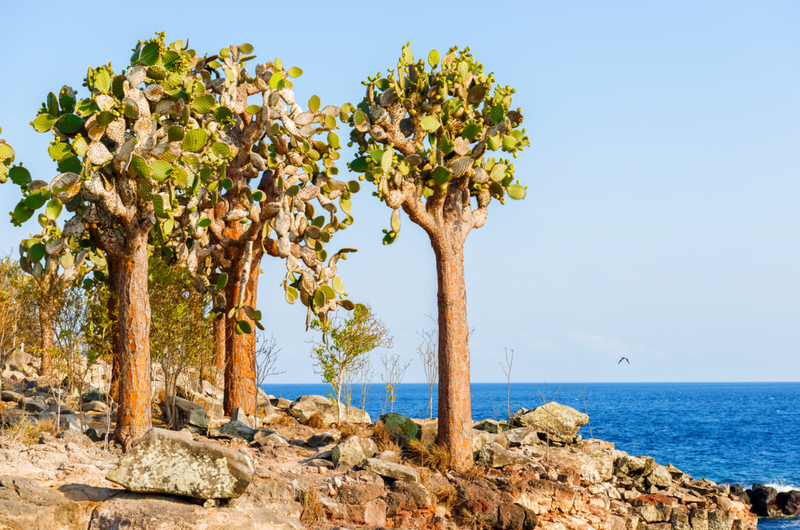 TRY The seven-night Galapagos Inner Loop cruise from Celebrity Cruises. The voyage on 100-passenger Celebrity Xpedition starts at £3,759pp, cruise only. Departs, October 22, 2017. Isolation and desolation combine in absolute beauty. And penguins, too. It’s hundreds of miles to civilisation. Only ships with fewer than 500 passengers are allowed to land, and most are far smaller than that due to the extra number of sites they can use. Calls include craggy, ice-covered Elephant Island, visited by Ernest Shackle ton’s Endurance expedition. Across the continent are ancient whaling stations, research bases and monuments to explorers. Cruises often also take in the nearby Falkland Islands, visiting Port Stanley, as well as South Georgia. WHERE AND WHEN? From Ushuaia (Argentina), Punta Arenas (Chile) or Montevideo (Uruguay). October-March – Canadian operator One Ocean Expeditions even has a 10-night Christmas in Antarctica cruise (December 18, 2017, from about £7,300, with flights), with hiking and camping. WHO GOES THERE? Quark Expeditions, Seabourn, Silversea, Crystal, Hapag-Lloyd, One Ocean Expeditions. TRY The eight-day Antarctic Express: Fly the Drake from Quark Expeditions. From £6,000pp including flights from Santiago to Antarctica. International flights from £590 return.